Drinking water faucets are a good investment, especially if you want to make a change from depending on bottled water or you’re tired of drinking hot water with lemon every day. 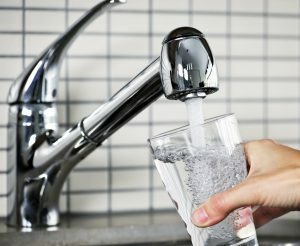 How do you get your drinking water when you are at home? Drinking water faucets aren’t only restricted to the kitchen or bathroom. Sometimes, you can have it built into your refrigerator as well. Drinking water faucets are a good investment, especially if you want to make a change from depending on bottled water or you’re tired of drinking hot water with lemon every day. First of all, you must understand that water filters get rid of contaminants in your water. Even though your local water supply is already going to be treated to be as clean as possible, you never know if something is going wrong with your pipes. One reason you might prefer filtered water over non-filtered water is just the taste of it – drink some tap water when its cold and some at room temperature – that’s the real taste test. Look at the packaging on the water filter in question and see if it is certified by NSF International against different types of contaminants. Next, you’ve got to know when to change the filters. When you have filters attached to your drinking water faucets, this can be harder to figure out; when the filter is in your fridge, there will be a sensor and indicator light that will change colors as the filter wears out. The manufacturer will include instructions that guide you on how to change the old filter and replace it with a new one, and suggest when it’s time to replace them, depending on how heavily you plan on using the filters. If the filter is working more slowly than usually, then it’s a good sign you need to replace it soon. The next step is to determine how much you need to drink on a daily basis and how much water your family members will need, as well. After all, staying hydrated is important, even in the colder months. While two carafes worth of water can suffice for a couple, more people than that will start to stretch your supply. You’ll also have to think about the water you use for cooking. Filtered water can make a difference there, too. Remember, some water filters work more slowly than others. Some filters are mounted on the faucet of the sink, others on the countertop, and some are hidden under the sink. Think about which one is best for you and your need for fresh, cool drinking water. This entry was posted on Wednesday, February 13th, 2019 at 3:31 pm. Both comments and pings are currently closed.